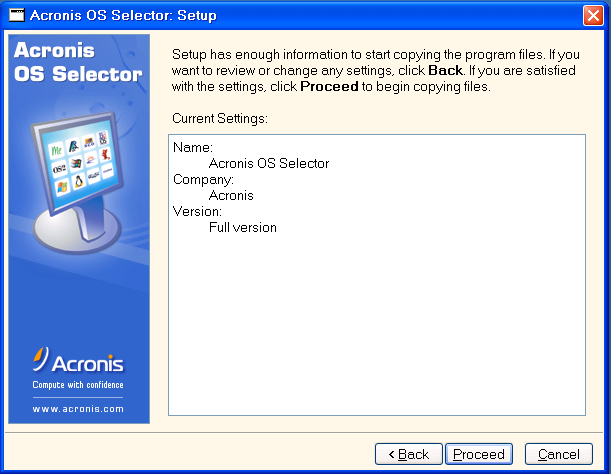 Acronis OS Selector can be installed with Acronis Disk Director 11 Home or separately, from Acronis Bootable Media. (!) 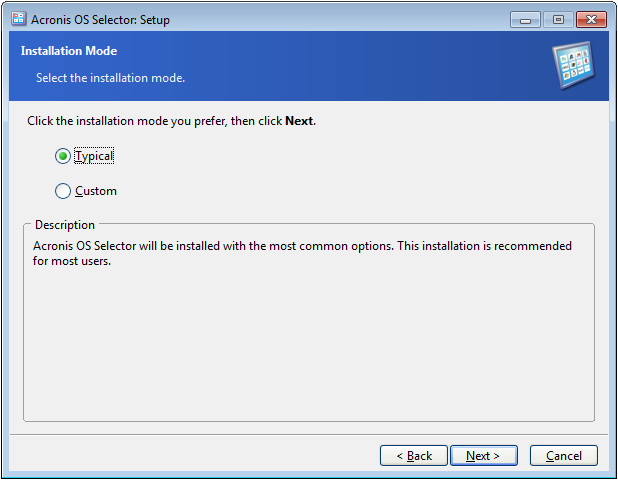 Installation of Acronis OS Selector requires a reboot. (!) 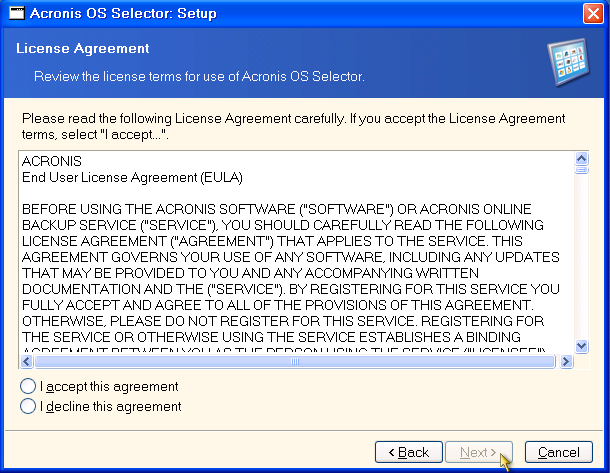 Acronis OS Selector can only be installed on a basic disk. 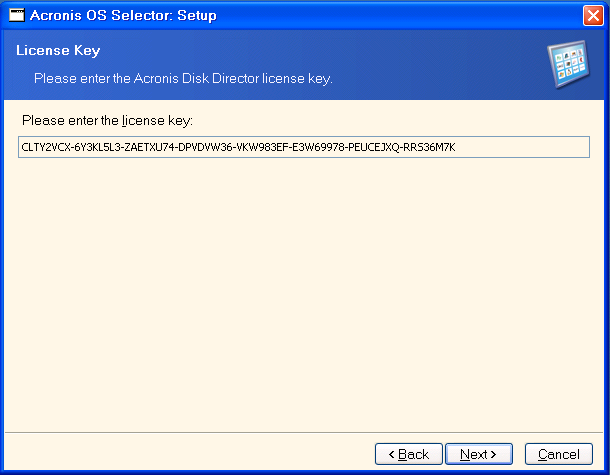 See Acronis Disk Director 11 Home: Acronis OS Selector Does Not Support Dynamic Disks. 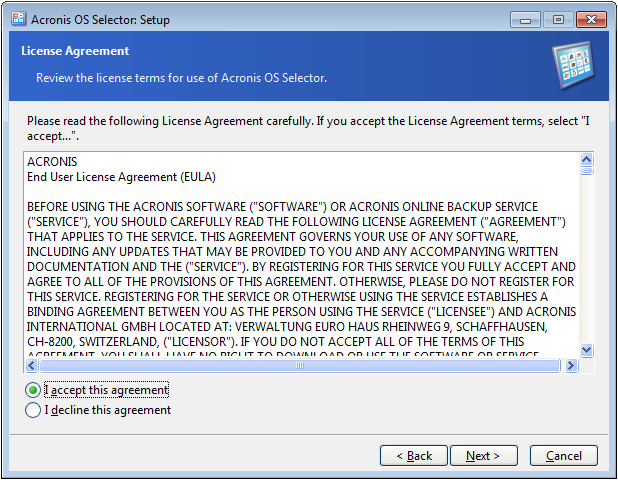 It does not matter if the partition on which you install Acronis OS Selector has or does not have an operating system installed. 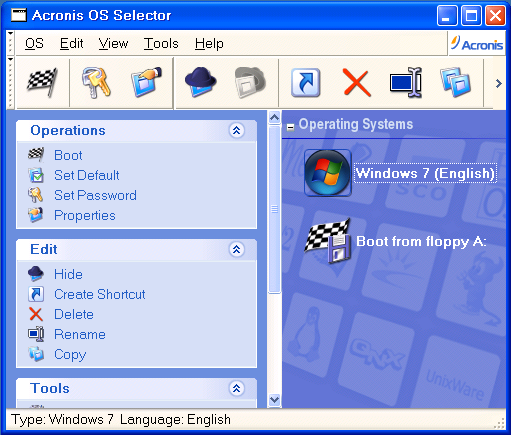 Acronis OS Selector will be able to find all the supported operating systems installed on the machine. 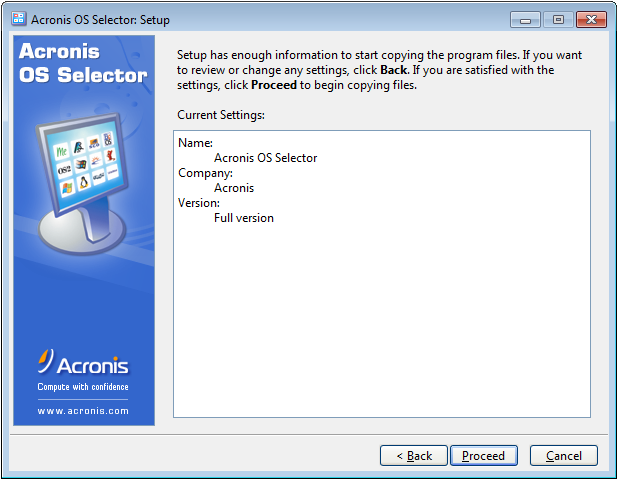 See the respective section to install Acronis OS Selector with or without Acronis Disk Director 11 Home. (!) 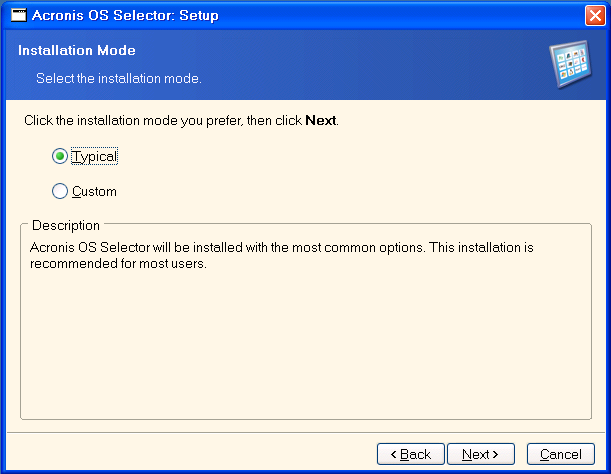 Acronis OS Selector can only be installed on a FAT16/FAT32/NTFS partition. Dynamic disks are not supported. 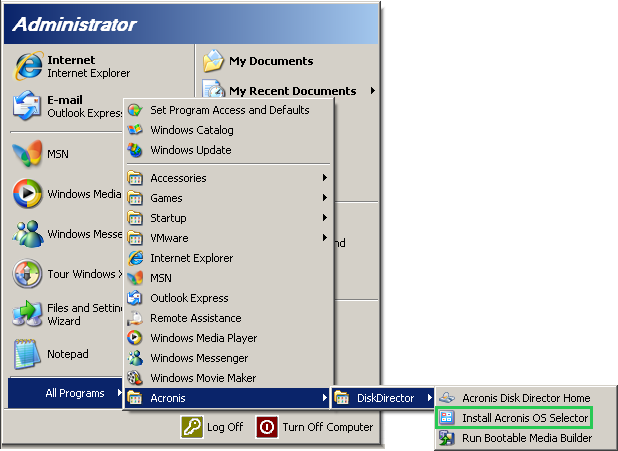 See also Acronis Disk Director 11 Home: Acronis OS Selector Does Not Support Dynamic Disks. (!) 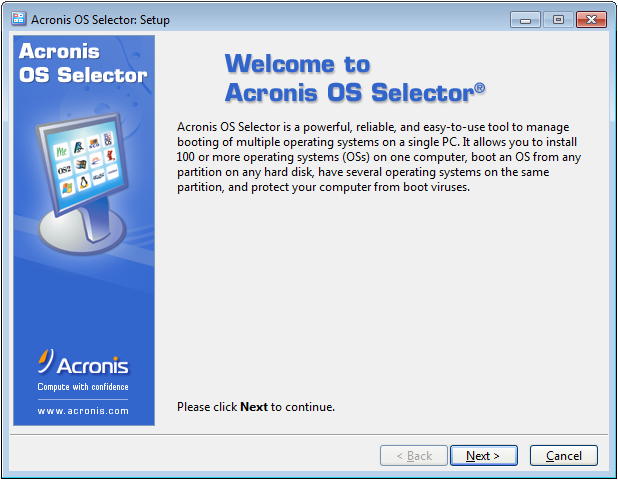 If Acronis OS Selector is installed from Acronis Bootable Media, it will not be visible in Windows. It can only be managed in bootable environment. 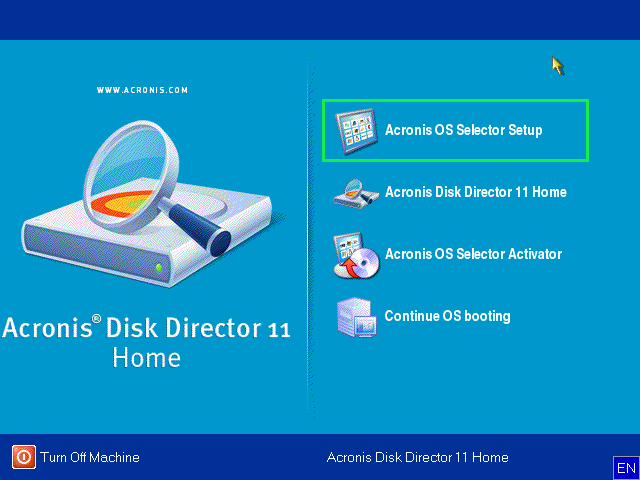 Download Acronis Bootable Media for Acronis Disk Director 11 Home. 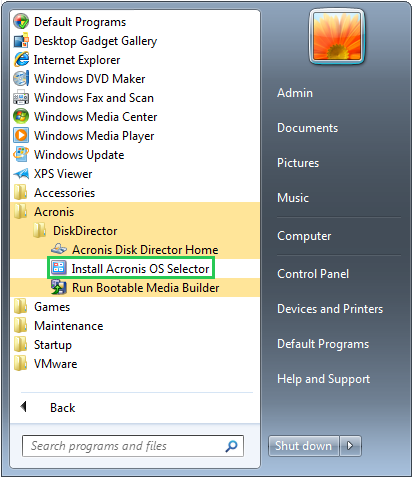 See Downloading Acronis Bootable Media. 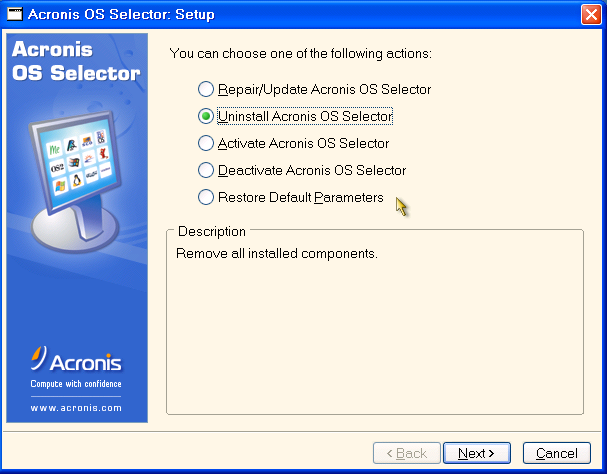 On the final screen, click Proceed to uninstall Acronis OS Selector.